Virus, Spyware, Malware removal Westlake Village, we can recover most of your lost data with our very affordable data recovery services. When big news breaks, spammers and malware creators get busy with black hat SEO campaigns. And news doesn’t get much bigger than the death of the most hunted man in the world. New popular search terms like “Osama bin Laden death” are a vulnerable target in search engine rankings. Algorithms use historical data to help determine which sites are relevant to established search terms but have no such record to reference for a breaking news story. At least two malicious domains, ***-antivirus.cz.cc/fast-scan/ and ***pe-antivirus.cz.cc/fast-scan/, have taken advantage of this loophole to rank high in Google Image search results with alleged photos of Osama bin Laden, according to a blogpost by antivirus software company Kaspersky Lab. 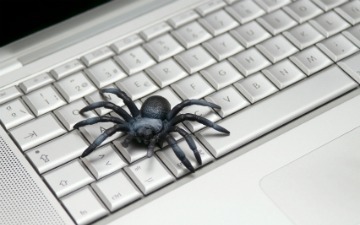 Other enterprising Internet villains have posted links on social media sites or in emails that appear to offer news about Osama bin Laden’s death but redirect to spam or malware. “Within 24 hours we can expect in excess of 100 million spam emails” related to bin Laden’s death, Symantec SMB director Steve Martin told SC Magazine. If you go to a site expecting to see information on a specific topic but get redirected somewhere unexpected, like to a “click here for a free security scan” page or to a survey site, or to a “download this codec program to view the video” dialog, get out of there at once. Don’t click farther. You’re being scammed.